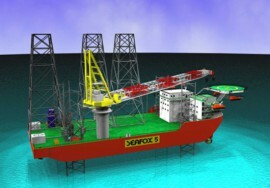 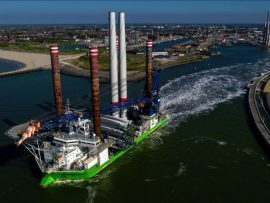 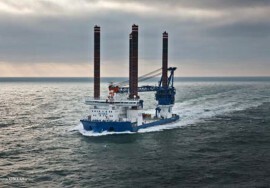 A2Sea’s jack-up vessel Sea Installer has installed 33 of 42 turbines at the Rentel offshore wind farm in the Belgian North Sea, a spokesperson from Otary told OffshoreWIND.biz. 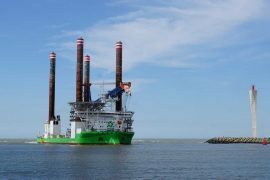 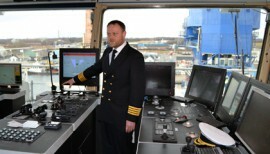 Belgium-based nCentric has installed its wireless communication systems onboard A2Sea’s jack-up vessel Sea Installer for offshore installation works at the Rentel wind farm. 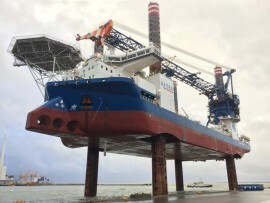 A2Sea’s wind turbine installation vessel (WTIV) Sea Installer has arrived at the Port of Oostende, Belgium, to load the first turbines destined for installation at the Rentel offshore wind farm. 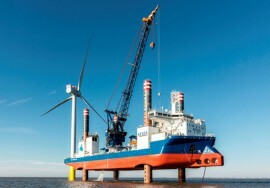 A2SEA’s jack-up Sea Installer has, together with DONG Energy and Siemens Wind Power, installed 23 out of 91 Siemens 6MW turbines on the 576MW Race Bank offshore wind farm off North Norfolk, UK. 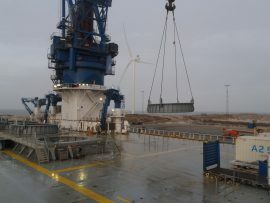 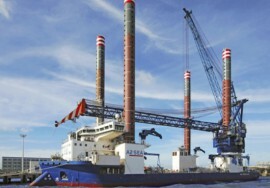 A2SEA’s wind turbine installation vessel Sea Installer left the Port of Hull on Sunday, 7 May, with the first load of wind turbine components for DONG Energy’s 580MW Race Bank offshore wind farm. 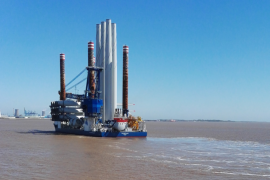 A2SEA’s jack-up vessel Sea Installer has arrived in Hull to load the first turbine components and install them on DONG Energy’s 580MW Race Bank offshore wind farm. 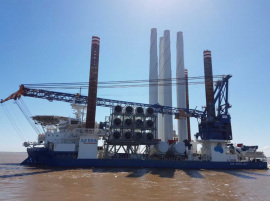 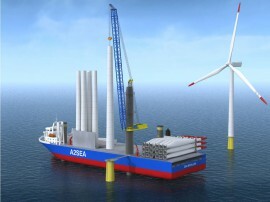 A2SEA’s jackup Sea Installer is mobilising at the shipyard WD Close in Newcastle as the vessel is getting ready to start installing the 91 Siemens 6MW turbines at DONG Energy’s Race Bank offshore wind farm at the end of April. 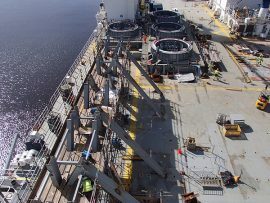 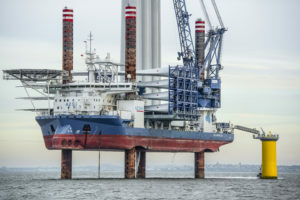 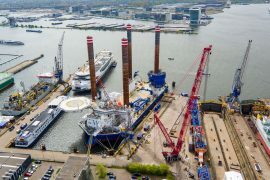 Ahead of the turbine installation at the Race Bank offshore wind farm, due to start at the end of April, A2SEA’s jack-up vessel Sea Installer has been fitted with four massive adapter rings for wind turbine tower sea fastening. 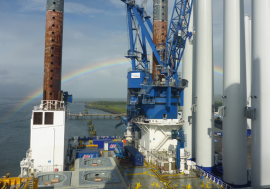 A2Sea’s jack-up vessel Sea Installer has completed the installation of all 42 turbines at the Rentel offshore wind farm in Belgium. 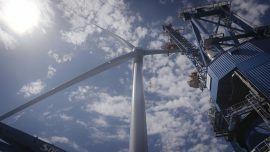 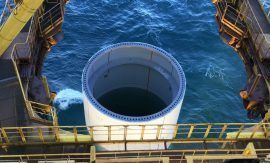 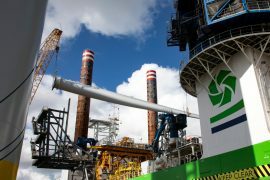 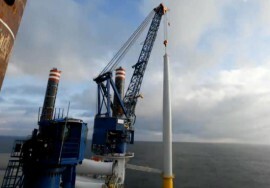 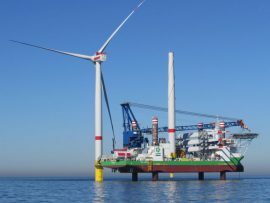 A2SEA’s jack-up vessel Sea Installer has installed the first of the 174 transition pieces on Ørsted’s 1.2GW Hornsea Project One offshore wind farm. 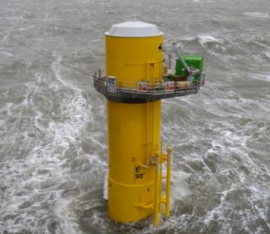 A2SEA’s jack-up vessel Sea Installer has installed the last turbine at Ørsted’s 573MW Race Bank offshore wind farm located off the North Norfolk coast in the UK.